Today and MS survivor and a lovely lady with a beautiful smile! Please welcome my latest victim..Karen DeWitt! I began writing seriously about ten years ago. 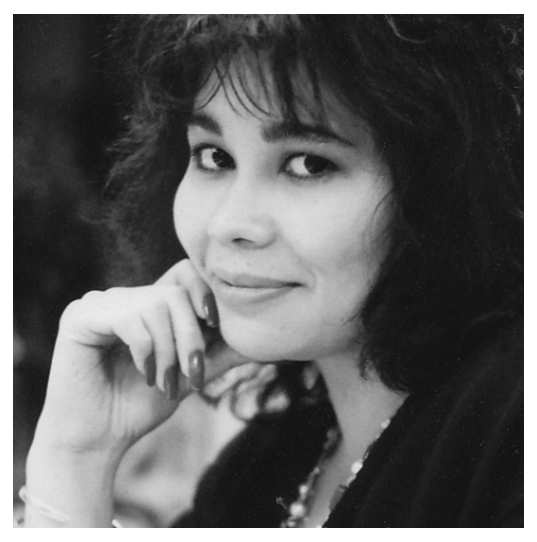 Most authors will tell you, “I’ve always loved to write,” and that statement is also true for me; however, I could more accurately say, “I’ve always loved being creative.” I spent most of my life as a professional studio artist until about ten years ago when, sadly, Multiple Sclerosis overcame the fine motor skills of my right hand. Longing to remain creative, I started writing my first novel. Yes, I am a proud parent. I have a 29 year-old son so I suspect my experience is quite different from many authors struggling to balance writing time with young children. My son is not only supportive and excited about my writing, but someone who is also well-read. I’m able to bounce ideas off him about storylines, plots, marketing, and anything else. It’s a joy to get his opinions and have his help. Ahhh, the old “favorite” question! For 30+ years as a professional artist I was always asked about favorite artists, favorite colors, or favorite periods. I never had one pat answer as an artist and I still don’t have one as an author. It has always been a rather shifty answer that has more to do with my mood and stress-level than anything else. What I most look forward to accomplishing with my writing is to remain actively creative. After doing my share of querying agents it became clear that self-publishing was the best route for me. I’ve reached an age where writing is more “dream” oriented than “career” oriented and I didn’t want to spend years chasing my dream down the most difficult path—a path that could very possibly lead to a dead-end. After weighing the pros and cons it became a no-brainer to self-publish. I would have control over my dream; its success or failure would rest in my hands and not be held captive by the whims of others. If I had to sum up my publishing journey in one word, I would say “naïve”. I simply assumed my published book would come first and then the marketing would follow. Oh, how wrong I was! Blogs, Twitter, Facebook Fan Page, LinkedIn, Pinterest, and any other social media that you can imagine should be WELL established prior to the release of a book. Then there are book trailers, print media, pre-pub written reviews, blog interviews, and scheduled appearances that should also be ready to roll when the big day arrives. My debut book was released almost three months ago and I am still digging out from my pre-pub mistakes! My second book (which I’m currently writing and will be a sequel to The Bunco Club) has already been mentioned in my blog and FB page…I’m a fast learner. 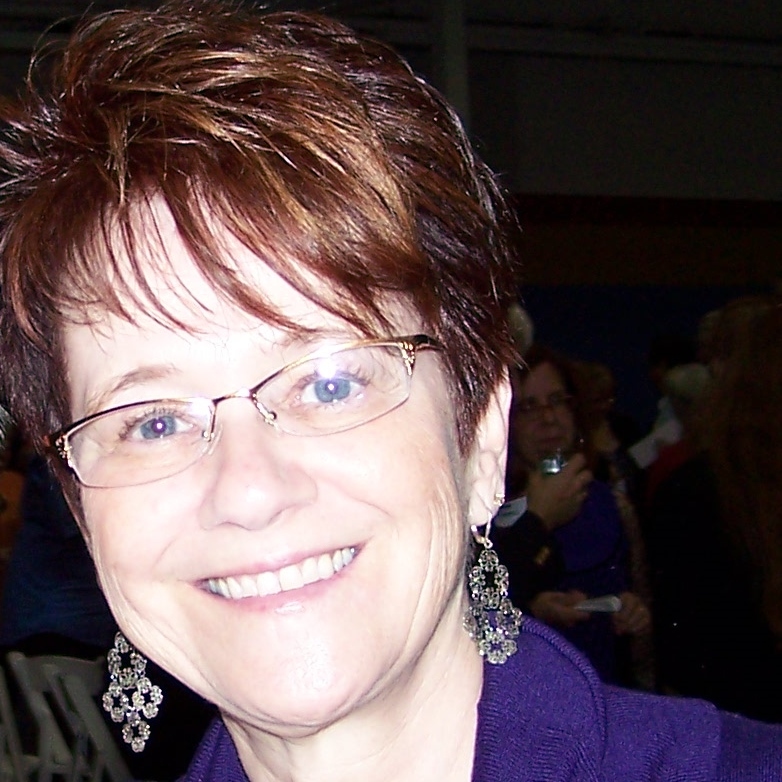 My debut book is titled The Bunco Club and I am currently working on the next in the series which is temporarily titled Quilters of the Bunco Club: Phree Clarke. Yes, I am planning an ambitious series where there will be a separate book for each of the eight women in The Bunco Club. 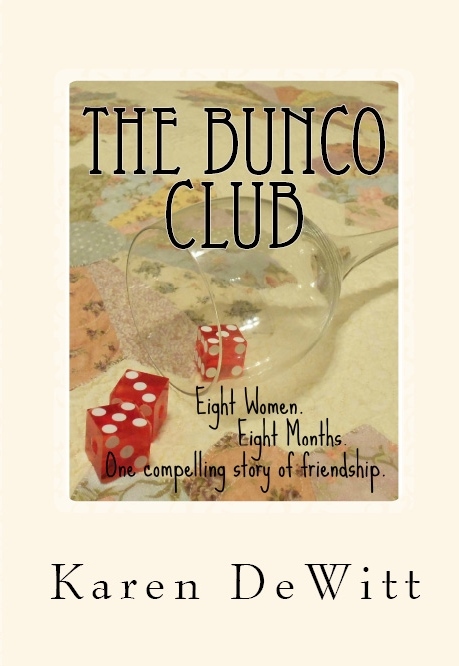 Eight women, eight months, eight individual tales merge into one compelling story of friendship in The Bunco Club. Attitudes surface and personalities clash as struggles, secrets, and obsessions emerge. Follow the lives of eight quilters from Chicagoland as they gather once a month to play Bunco, the popular no-skills dice game. No Bunco experience is necessary to enjoy this book, so grab the dice and share the fun and favorite recipes of Bunco night. The last thing Lettie wants is for a member to quit the Bunco Club, but a well-guarded hoarding obsession may cause that very thing to happen. When Nancy’s one-love contacts her after twenty years she shares tidbits each month about the devastating breakup along with news of a possible reunion and she finds there is no shortage of opinions from the women of the Bunco Club. Follow the members as their stories are revealed and woven together through the bond of friendship—from a heart stopping discovery of a national historic treasure, to a 34-year-old secret, to a mom whose child is devastated from being bullied. Eight women capture the hearts of readers who will long to be members of The Bunco Club. There are recipes in the back of the book as well as book club questions. I drew inspiration from the friendships in my own Bunco club, but that is where I drew the line. This is NOT a tell-all book about my club nor is it a how-to-play-Bunco book. It is strictly fiction; made-up from the people that reside in my mind! Oh, my, not so easy when there are eight main characters! I can tell you this—some of the characters and their stories you will love and want to know more about, some will annoy you, and some you will probably not care for at all. They are definitely eight unique individuals and depending on your own personality you will connect strongly to some and not to others. Hmmmm, good question, but nothing that I can think of—at least not yet. Thanks for joining us today Karen! You can follow Karen on her blog and her book is available on Amazon! Today we have a good friend and fellow Torontonian as my latest victim! Please welcome A.K. Flynn! A.K. 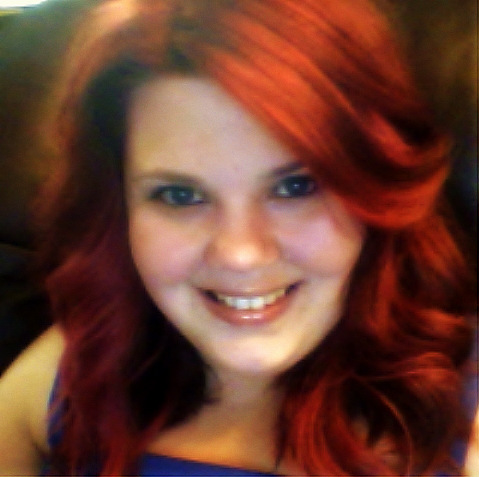 Flynn, is a bright eyed bushy tailed Child and Youth Worker who loves art, music writing, and creative musings! She enjoys writing and painting, and more recently a Pinterest addict; the most important activities that keeps her hectic life sane. I started to write when I was very young. I was considered the day dreamer of my class, and I had a fantastic imagination. It wasn’t until grade 6 did I realize my writing potential. I was encouraged by my teacher to enter the young writer’s program in my school for a chance to compete against other wonderfully gifted writers, or back then my ninja competitors! It was since then I continued to write to give my imagination an outlet while giving me the opportunity to escape to a world that is not my own. I think being a parent of a very active 9 year old has changed the way I write indefinitely! Children are a great inspiration to hone in on, they look at the world so differently and I often have a character somewhere as a cameo that contains a few of my son’s quotes. As for effecting my writing habits, so far they have not changed as I’m a night owl. For some odd reason my muse likes the stillness and mysticism of the night to be creative. My favourite author would have to be Dean Koontz. I really enjoy the integration of horror, thriller, elements of supernatural, and satire notations in his work. I think he really thinks outside the box in his work and I haven’t found a book that I haven’t enjoyed. To be very honest I’m not sure what I am hoping to accomplish with my writing. I enjoy writing and I just want to share with others a little peek into my mind’s eye, and submerse the individual reading my work in a world that is so far away from their current worries, or everyday humdrum. As for the financial aspects of my book, I’m not looking to make vast amounts of money from my book(s). Writing is more of a hobby, but making a few dollars here and there doesn’t hurt. I think Traditional publishing is great for the aspects of promotion, and getting your book out there in the world. It provides stability, an image of trust, and quality. Self publishing gives the author complete control, but the promoting can be quite tedious, and many consumers are afraid of the quality. I personally went with self publishing because it was simpler, and this way friends and family had a way to get the book in print or electronically. It made it easier for them to have access to it. I’m sure if I ever decide to go beyond friends, family, and co-workers, I would try to go traditional just for the fact of the promoting. Publishing is quite a feat in itself. With it comes mixed emotions of joy and anxiety. I know that when I ventured out into the self publishing world it was very difficult to navigate. I used CreateSpace’s platform to accomplish this. Sure it may seem easy to make a cover page, upload your book and then BAM you are an instant Author. Well to be honest it’s not so easy at all. You have critics, ones that are going to give you great feedback or critical, and then you get unsolicited feedback that really doesn’t help you improve your work. Then the promoting on various other platforms such as Google+, Facebook, and Twitter. Essentially your book becomes less and less of the main focus. You might be thinking I’m nuts when I say this, because it’s all about the book! However, the book gets put on the backburner while you push promotions and keep up with blogs, vlogs, and other authors just to get a name for yourself. Sadly I am familiar with this approach in publishing, and I had to reel it back in to make it about the book I have written. I’m not famous; heck I’m not even on the map in the author universe, but I am a little star that glints from far away and my work is there for all to see. I just leave it to those who want to read it and pass it on by word of mouth, and this is my small journey in the publishing world. 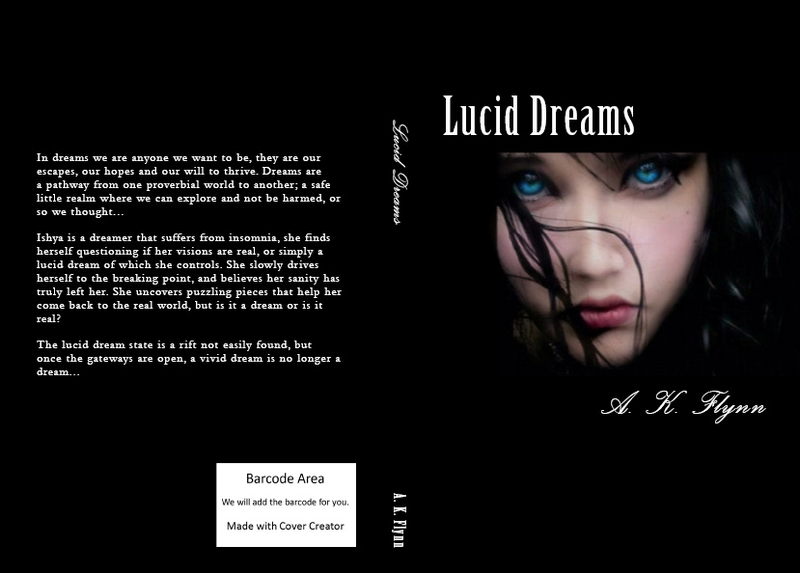 My novel “Lucid Dreams” is a 2009 NaNoWriMo creation, but I’ve always had the idea in the back of my mind to write a book, just never was focused to write something so lengthy. I tend to stick to short stories or articles. I am however, very satisfied with the growth of this little gem, as it wrote itself so beautifully with quirks and all. Lucid Dreams really plays mind games throughout the novel, and you are never sure exactly where you are, or if it is a dream, or reality. My main character has insomnia, and she often does not know if what she is experiencing is real or if she’s going crazy. I played on the idea of String Theory, alternate universes, and even how apparitions find ways to appear (created this before the movie inception). This novel will throw you through loops, and always will keep you guessing what will happen next. I think the biggest inspiration for this particular book for me is my curiosity for the unexplainable. I know growing up I had a few lucid dreams and some people have experienced something like this when they fall asleep, and they feel like they are falling off the bed. The human mind is a very curious organ, and then throw in new age elements that I love to study. I am greatly influenced by curiosities and impossibilities, and that is where I derive my inspiration. The main character is very relatable to most people, especially to those who have problems with insomnia, which technically all writers have. She is not over the top, and very down to earth. I loved being in her shoes as she is so naïve and curious, often times I felt like I was exploring with her. I must say that this book does have a soundtrack, and it comprised of Owl City, MGMT, John Mayer, Maroon 5, and Life House. Thanks so much darlin for spending some time with us! You can follow A.K. on her blog and her book is available on Amazon! I’m Tamara Woods. I love writing, connecting with people via social media and geeking out on books, Star Trek TNG and Battlestar. I’ve been writing for 20 years, starting with poetry and gradually working my way into short stories, articles and now blogs, with the occasional press releases and chapter of a book thrown in for good measure. On PenPaperPad, I’ll write about: writing, blogging, poetry, using social media and other things that may attract my interest. Drop me a line and let me know what you think: penpaperpad78@gmail.com. Follow me on Twitter: @PenPaperPad. Here’s my Facebook author page. Like me and you’ll gain at least two karma points. You can like Google+ before it’s popular and add me to your circle. Hi I’m a Pinaholic. Join me in deviant Pinterest ways (which I contend is way better than crack). Today we have a lovely treat and completely outside the norm for this blog! 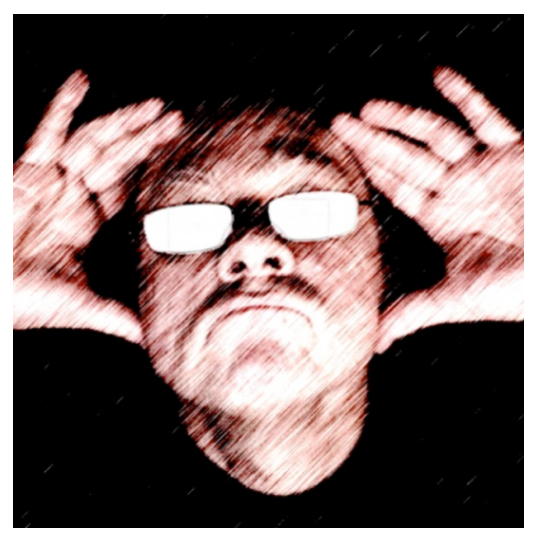 Please welcome my next victim, children’s author Martin Byk! Marty Byk is a long time Television Writer/Producer who has worked for a wide range of channels including USA Network, Discovery Kids, Sy Fy, E! and others. Among others, he’s written for comedian Gilbert Gottfried and Howard Stern. 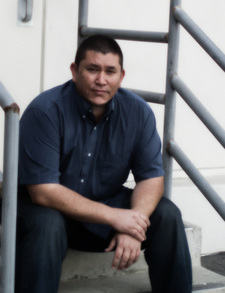 Despite that, he currently writes and produces for Hallmark Channel in Los Angeles, CA. Illustrator JoAnn DiMaggio is an artist and designer who is originally from New York City. “The Bug Barians®” is the first of three planned Bug Barian books that will feature her unique graphic art work. My wife (and Illustrator) JoAnn and I don’t have children. It wasn’t quite planned that way but that’s how it has turned out. Instead, we enjoy our nieces and nephews and the children of friends as much as possible. Since we’ve created a kids book, so we haven’t faced the wrath of the kids as of yet. For this, we are thankful. With regard to “The Bug Barians®”, I’m not sure that any one author influenced the idea. Probably Bugs Bunny Cartoons would be an honest. Mostly, I’m a fan of biographies and history. However, in terms of influence, one author should be mentioned in this discussion. When I first started this journey, I purchased ‘Becoming An Indie Author’ by Zoe Winters. It was an invaluable resource. The book is funny and informative and well worth a read. I’d recommend it highly. There are certainly others out there but this one is quite good. If you hear those words, you know that Clonk the Clonkerer and his Bug Barian friends are on the loose. This means only one thing. You’re about to be conquered in the best possible way – with Viking fun. Better yet, it’s Bug Barian fun. And just who are these Bug Barians? Meet Clonk the Clonkerer, the Mighty Huntoon, Eddik the Dread, Monte, Flo, Valleri and her pet aphid, Thor. They’re the nuttiest and tiniest troop of Viking Bugs you’ll ever meet. They have an eye for adventure and a taste for fun. They also have an awful sense of direction…and that’s when the adventures really start. Grab a helmet and sail away aboard “The Leaf Erikson” leaf boat with this crazy crew of diminutive heroes. But be prepared for anything. Today’s destination? Anywhere the wind takes them. It’s not far away but getting there won’t be easy. They never know who they’ll meet along the way. Their world is a pond that’s as big as the eye can see. It’s filled with all sorts of things: grumpy squirrels, mean ducks, a crafty yellow kite, unpredictable weather, and of course, Clonk the Clonkerer. Everything is guaranteed to go haywire when Clonk is on board. And it does. He’s proof that big troubles come in tiny Viking packages. 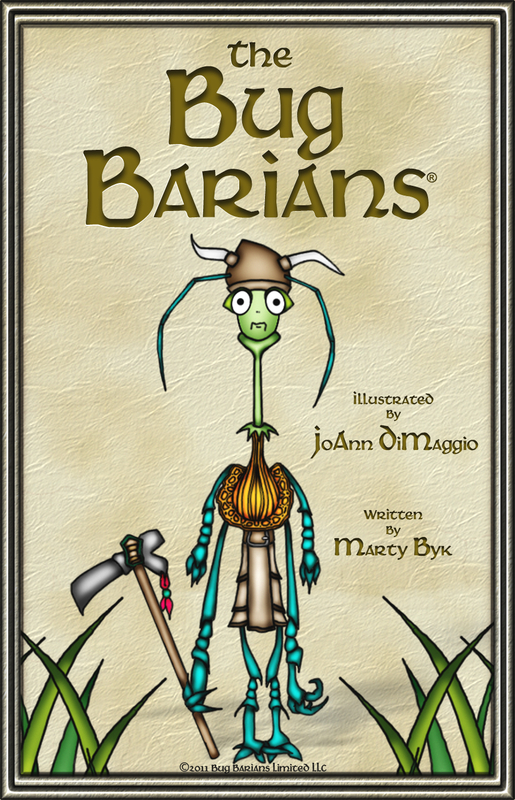 Written for children and Vikings ages 4 and up, “The Bug Barians®” is a charming and fully illustrated story filled with memorable characters and hilarious situations that kids will love and parents will be comfortable with. All it takes is a little luck, a good gust of wind and you. WHOOSH! Now everyone’s a Bug Barian. Come along as they float, fly and fumble their way into trouble and into your hearts. ALL FOR BUGS AND BUGS FOR ALL! Our book, ‘The Bug Barians®’ originally started out as a pilot script for a children’s animated show. I was working at a channel called Discovery Kids and at the time they were getting into producing animations. I thought that it would be a great time to work up an idea to see if they were interested. The short version of the story is, that by the time the pilot script was ready, Discovery Kids was not. However, I liked the idea of tiny Viking Bugs so much that I then developed the script into a screenplay. This new version skewed slightly older, added other characters and even some drama. The hope was, that we could get some interest from DreamWorks or Pixar or someone along those lines. Although, the script is something I’m quite proud of, it sat. After a bit, the idea was rescued when JoAnn and I decided to turn the original idea into a kids book. The story would be told over 3 books and JoAnn would create new illustrations for each. Currently, the first part of the trilogy is available and the other 2 parts will eventually join it. ‘The Bug Barians®’ has had quite a long and interesting path but it’s been a valuable one for us. The Bug Barians® is an ensemble cast but if there’s one lead – it’s the jittery and accident prone ‘Clonk The Clonkerer’. Think of him as the Gilligan of the bunch and you’ll be in the ball park. Sure he causes things to happen, but Clonk means well and he’s as lovable and innocent as a clumsy six armed Viking Bug who winds up sitting on his horned helmet a lot – can be. Plus…if it wasn’t for Clonk, the adventures wouldn’t be half as fun. He’s a Bug Barian through and through. Does your book have a soundtrack? Hmmm…not yet…but if we manage to sell it as either a series or a box office animation, it most certainly will. For now, we consider the sound of Clonk accidentally breaking things as the only soundtrack The Bug Barians® need. Thank you Marty for spending some time with us today! Please follow Marty and his lovely wife JoAnn on their website. I wrote my first story back when I was about 13 or so. A really terrible piece of sci-fi drek but I enjoyed the process a lot. I loved creating a world and these characters to fill it. I started writing because I wanted to be able to do what those writers I admired were able to do… really touch people. They made me think and they made me feel. To me, being able to do that, to really impact people with words was an amazing feeling. It was powerful and I wanted to be able to do that as well. I want to be able to help people escape the day-to-day stuff life throws at them and really engage them, transport them to another time and/or place and let them just enjoy some time away from their life for a while. Well, I’m not a parent so I don’t have children to impact my writing or my writing habits. The dog and cat though, they’re pretty tough critics. Now that’s just not a fair question. If I had kids, it would be like forcing me to choose my favorite. Honestly, there are so many on my “favorite” list that I can’t pick just one. I love Ernest Hemingway, Stephen King, Margaret Atwood, George Orwell, Michael Connelly, John Irving, Edgar Allan Poe… I really could go on. I love them because they all really engage me. They make me “feel”… whether it’s fear, disgust or paranoia, they engage my brain and my emotions. That’s why I love them all and why I can’t pick just one! Ultimately, I want to be able to be self-sustaining as a writer. I would love nothing more than to be able to earn a living doing something I’m so passionate about and love so much. I love the feedback I get from my readers, I love that they seem engaged and enjoy my work and that just makes me want to be able to do that full-time. Forever. I love being able to make people feel *something* when they read my work. It reminds me of how other writers have made me feel and what books have done for me in my life. I would love nothing more than to be able to (hopefully) do that for others as well. Self publishing for the most part. My first book “From the Edge of Darkness” and my upcoming book “Shattered Honor” have both gone through a small Indie house called “Fey Publishing”. It’s been a really great experience and I will never hesitate to work through Fey again. But I do tend to be a bit Type-A about things and I think for me, the biggest motivating factor for going the Indie route comes down to control of my own work. How it’s done, when it’s done and why it’s done. I want to be in control of my project from start to finish and be able to do with it as I please. Fey has given me that sort of control over my own work which is why I have nothing but good things to say about them and why I’ll absolutely work with them again in the future. But right now, I’m going to start cranking out some novellas and collections of short stories because I love working in a shorter medium and I think that is sort of more conducive to a self-publishing route. Well, to be honest, at the moment I only have the one book, “From the Edge of Darkness” in print. It’s a collection of 13 short horror stories. I had a blast creating it and getting it out last November was an awesome feeling for me. The forthcoming book, “Shattered Honor” is a full-length novel and to me, seems more like a huge departure from the first book. This is more psychological thriller than horror but it’s been a project that I have loved working on. I’m relieved that my part is mostly done but still a little sad to see it go. It will be put out by Fey Publishing within the next month or two and I’m really excited (and a little nervous) to see how it goes over with people who see and like my usual gory, scary work. I haven’t yet put anything out on my own but I have things in the works. 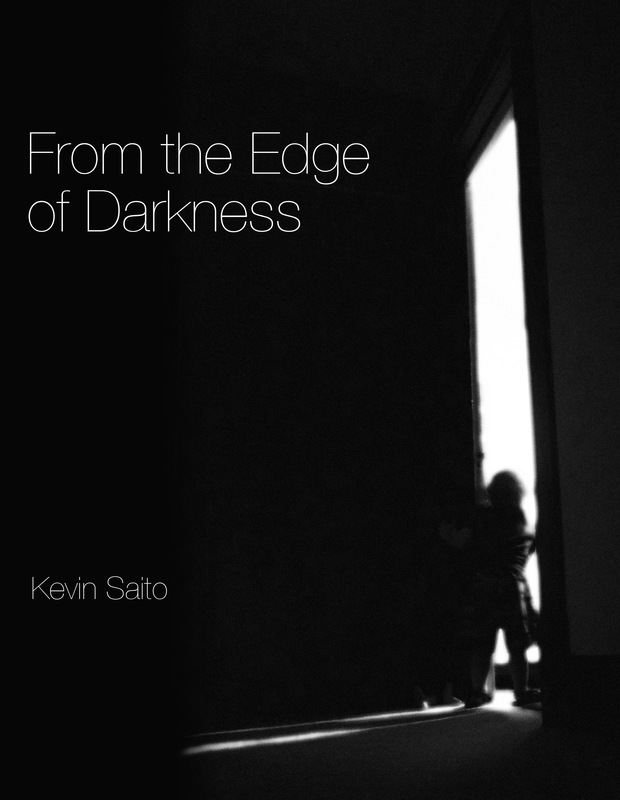 As I mentioned, “From the Edge of Darkness” is a collection of 13 short stories. They range from serial killer pieces to ghost stories to creature features. I was pretty much allowed to run amok and just have fun with it. What I like most is that each story is different. There really aren’t two in the collection that are alike and I like to think that there’s a little something for everybody! The forthcoming book, “Shattered Honor” is a whole different animal entirely. It deals with a man who comes home from the war in Afghanistan to a life and a perception of himself that is completely different. He sees this darkness inside of himself and has real trouble letting go of certain events in Afghanistan. They haunt him. Without giving away too much, I will say that they literally haunt him. He feels himself unraveling and his relationship with his girlfriend Shannon beginning to crumble as terrible, dark things appear in his mind. Ultimately, Danny has to either self-destruct or confront his past and travel a darker path in order to break free from his past and rebuild his life. It was actually based on a short story I wrote for a competition a couple of years ago. I wrote it to fit a prompt and it went over well with the people in the competition. It was my girlfriend though, who saw a bigger potential to it and more or less browbeat me into expanding it into a novel. Speaking for “Shattered Honor,” I think that Danny is a character that should be loved AND hated. He has both good and bad inside of him. I like to think that a lot of people can relate to him on some levels but unless we’ve been through what he has, we may never fully understand him. I like to think that in most ways, he’s just like us. He just wants to live a normal and happy life. But he’s got this big, dark cloud hovering over him and he has to contemplate monstrous things in order to reclaim his life and build that normality he so desperately wants. He has had to endure brutal hardships but at the heart of him, he’s a good guy. I hope that people, as they read this book, will really think about what they might do in the situations he found himself in and perhaps, not judge him too harshly for his decisions. Thanks so much Kevin for joining us today! You can follow Kevin on his website! And find his book on Amazon and Barnes & Noble!